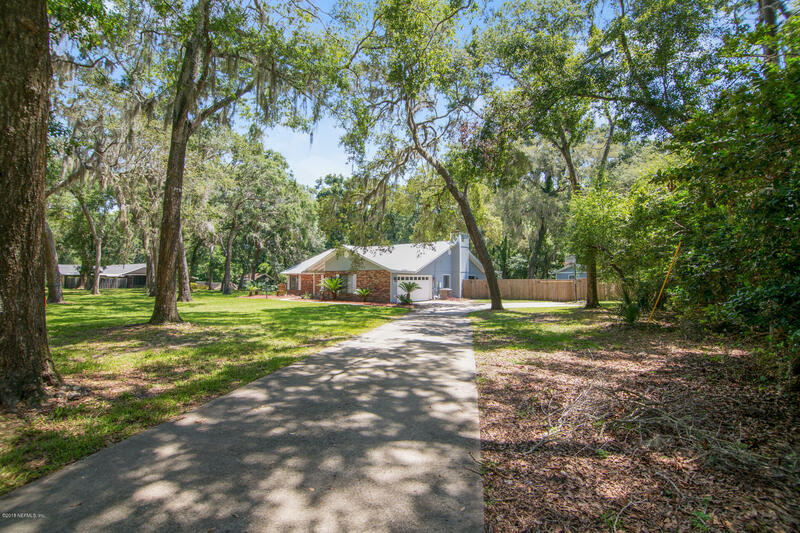 Beautiful, Spacious & Well Maintained 3 Bedroom 2 Bath Pool home on one-acre Fully Fenced homesite in the exquisite tucked away gated community of Prairie Creek Estates. This wooded & private Open Floorplan features peace & quiet with tons of space, New Roof 2018 w/ newer roof over patio as well, Newer AC 2016, Freshly Painted w/ Wood and Tile Floors throughout. This 2115 Square foot home also features a wood burning fireplace, two car garage, New Appliances, Oversized Sun Room extension, He Shed & a separate 216 Square foot garden shed or storage building aka SheShed. Fruit Trees on property.